Clear Channel Media and Entertainment Philadelphia announced today the return of Smooth Jazz sounds on ‘JJZ. 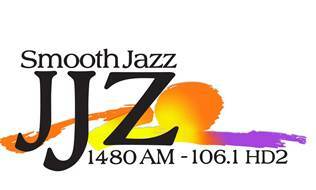 Beginning Monday, June 10 at 12:00 p.m. EST, the Smooth Jazz format returns to the airwaves on 1480-AM and 106.1 HD2. The station will feature long-time WJJZ personality, Michael Tozzi, who was the midday host and Program Director of WJJZ-FM from 1995 to 2008. The format will include a variety genres and artists, such as Dave Koz, Peter White and Norman Brown. "It's a proud moment for the music that so many love and has been missing from the airwaves," said Tozzi. "I’d like to thank the great team in Philadelphia for their commitment to the format and passionate fans it speaks to." "The re-birth of ‘JJZ fills a void for Smooth Jazz music, which hasn’t had a local home in Philadelphia for several years," said Brian Check, Vice President of Programming, Clear Channel Media and Entertainment Philadelphia. "We're excited to bring back Smooth Jazz programming for our listeners." Fans can listen to 'JZZ, on the station’s website, wjjz.com, as well as on iHeartRadio, Clear Channel’s all-in-one digital radio service. iHeartRadio delivers everything listeners want in one free, fully-integrated service: instant access to more than 1,500 of the nation’s most popular live broadcast and digital-only radio stations from 150 cities, plus user-created custom stations inspired by favorite artists and songs. iHeartRadio also offers listeners a new “Perfect For” feature which allows users to choose from thousands of curated stations based on a range of moods and activities. As with all format changes there has to come about the demise of a format that ratings wise necessitated a change in the eyes of management. ...The Smooth Jazz format of 'JJZ replaces the oldies of WDAS 1480 AM. The station was revived about two years ago after having been a gospel station and Spanish language station with the call letters WUBA. The re-invented WDAS AM featured much of the music that was played on the station in its heyday of the 1950's, 1960's, and 1970's when it was considered to be one of the top stations in the country and featured legendary disc jockeys "Jocko" Henderson and Georgie Woods. The heritage station became an institution in the city of Philadelphia as not only a Black music station, but also as a station that organized the community throughout the civil rights movement. The reincarnated version of WDAS was programmed by the late Joe "Butterball" Tamburro, who had been part of the WDAS AM and FM family since the early 60's. Recently Clear Channel made way for this transition by releasing the station's only on-air personality, veteran DJ, Bobby Holiday. The tradition of WDAS AM lives on in the hearts and minds of many in the African American community of Philadelphia.